Aperol Spritz is the classic (summer) Italian aperitivo. The official Aperol Spritz consists of three parts Prosecco, two parts Aperol, and one part soda. The classic (summer) Italian aperitif. In a country as culturally diverse as Italy, where regional differences in language, cuisine, and drinking practices remain distinct even after 156 years of unification, naming a national aperitif would be borderline blasphemy. But as far as northern Italy goes, you could build a pretty strong case for the Aperol Spritz. In the Veneto region alone around 300,000 Aperol Spritzes are consumed daily, according to Gruppo Campari, which produces Aperol. From piazzas and cobblestone alleys to Bar Basso in Milan and Venice’s famous Gabbiano Bar at Belmond Hotel Cipriani, you’ll find locals downing a spritz as an aperitivo. Aperol—bittersweet, herby, and orange in colour—was invented in Padua back in 1919 by the Barbieri brothers. The 11 per cent ABV liquor’s secret recipe has purportedly remained unchanged for the past century. 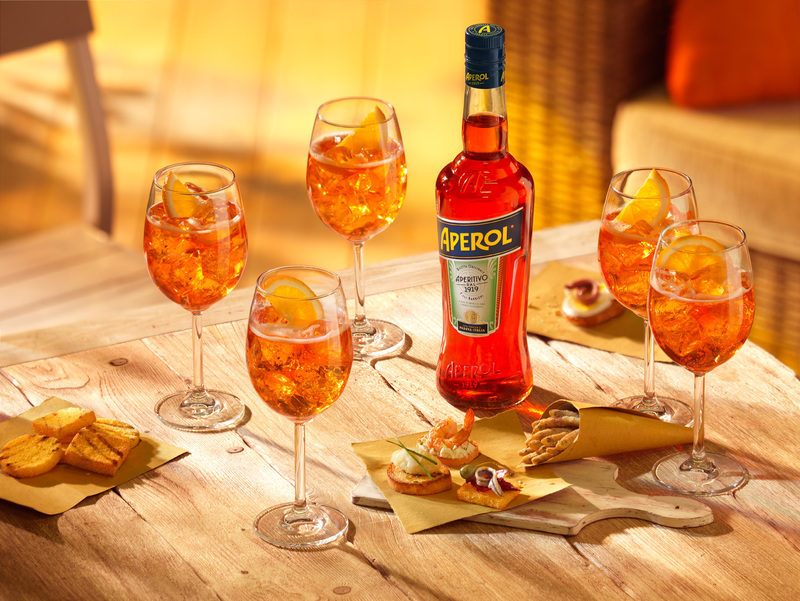 (When Gruppo Campari purchased Aperol in 2003, it vowed to remain faithful to the original recipe.) The main flavour is sweet grapefruit, and there are also aromas of rhubarb, orange, and gentian root. The word spritz is a generic term linked to the 19th-century Austro-Hungarian practice of adding a splash (German: spritz) of water to wine. Rumour has it that the strong wines made in the Austro-Hungarian Empire’s Italian territories were too bold for the Hapsburg palate, so a dash of water was added to mellow them out. In the 20th century, spritz took on its current definition: a wine-based cocktail made with a bitter and a splash of soda. The official Aperol Spritz, as the Gruppo Campari decrees, consists of three parts Prosecco (preferably a dry one to impart acidity), two parts Aperol, and one part soda, proportions which spawned the 3-2-1 campaign. In addition, one should use large ice cubes, never crushed ice, as they are essential for the drink’s slow dilution. The most traditional spritzes are those that originate along Italy’s spritz trail—from Trieste to Turin. The ingredient proportions, glass shape (rocks or wine glass), and garnishes (skewered olive or slice of orange) change from city to city, bar to bar, but a few things remain constant. First, a spritz is always effervescent. Second, a spritz is low in alcohol; this is a drink to consume when the day is waning and the night is young. Third, a spritz is a pre-dinner drink. It should be bitter, as this is a means of preparing the stomach for a meal. 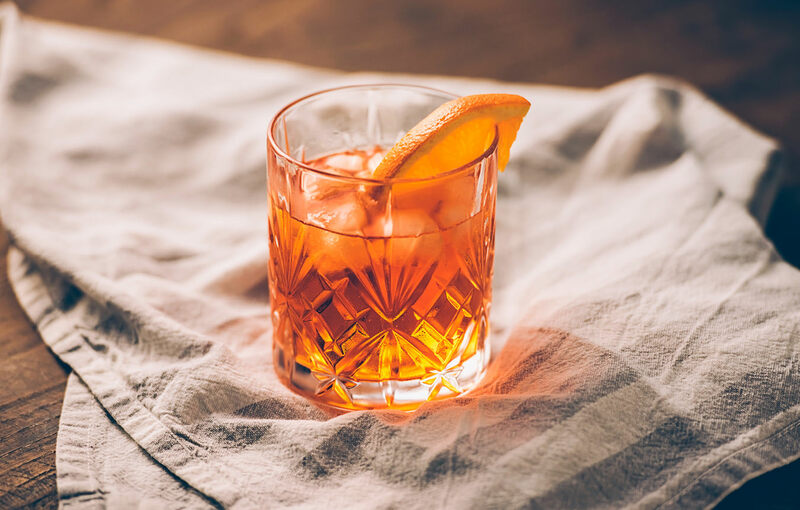 Bitters have long been used in classic summer drinks in Europe, with the Aperol Spritz being a daily prayer to the aperitivo gods.